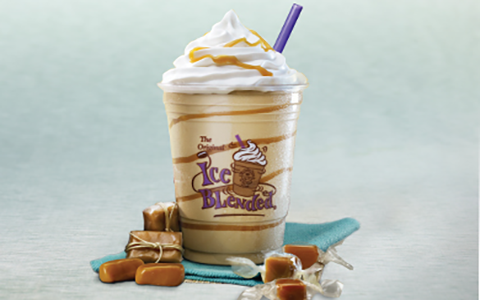 A sweet treat made from our delicious coffee extract, French Deluxe™ vanilla powder, milk, caramel sauce, and blended with ice then topped with whipped cream and a drizzle of caramel sauce. 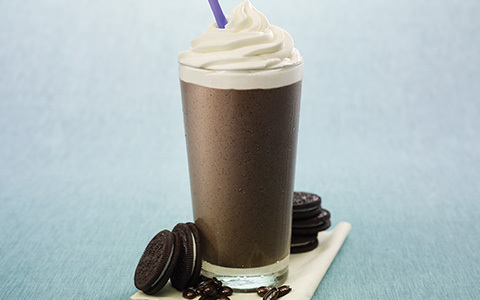 To sate your inner cookie monster, the Cookies & Cream Ice Blended® combines creamy vanilla with coffee and chocolate cookie pieces for an indulgent treat! 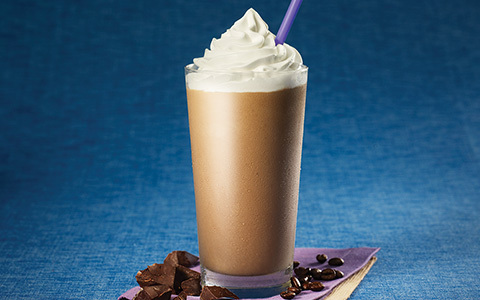 A sophisticated classic dark chocolate treat made with our dark chocolate powder, coffee extract and milk blended with ice and topped with whipped cream. 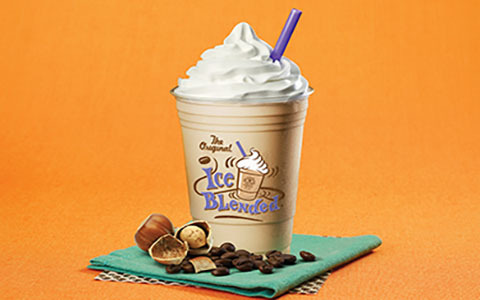 A nutty twist on the Ice Blended Drink made from our delicious coffee extract, hazelnut powder and milk blended with ice and topped with whipped cream. 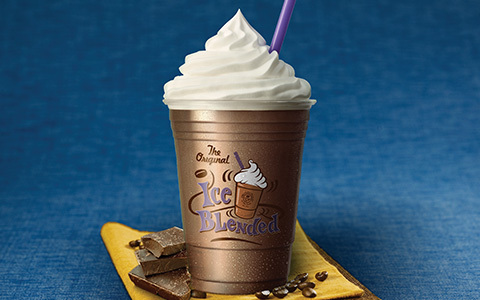 The frozen sensation that started it all contains our delicious coffee extract and our Special Dutch™ chocolate powder and milk, blended with ice then topped with whipped cream. 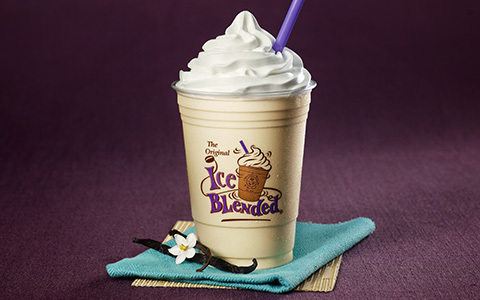 Another classic version made from our delicious coffee extract and our French Deluxe™ vanilla powder and milk, blended with ice then topped with whipped cream.